In the Concrete Recycling Plant, Concrete crusher and concrete milling machine are the right construction equipments to process and recycle let-off building concrete. Concrete is a composite construction material composed of cement and other cementations materials such as fly ash and slag cement, aggregate, water, and chemical admixtures. When accomplishing its mission, buildings will get dissolved and concrete will become construction rubbish and pollute the environment. 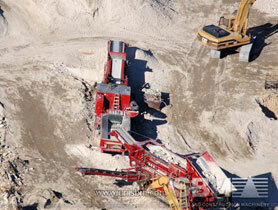 Concrete crusher is also known as concrete crushing plant. SBM concrete crushers include both mobile concrete crusher (portable concrete crusher) and small concrete crusher to meet every application requirement. Concrete milling machine are usually used when concrete lump should get deep process. Concrete recycling plant can Clean concrete chunks, old brick, broken blocks, and other masonry rubble can be buried on-site during foundation back-filling. Good quality used concrete (also known as urbanite) can also be used as brick or block for landscaping walls and foundations for small buildings. "We were already using SBM PE jaw crushers in a number of concrete recycling plant, so we researched screens and came up with a package deal. It was a natural fit."